Dundee is famous for quite a few food things: Dundee cake; jam and marmalade; but surely the one that rules them all is the pie, not least Desperate Dan’s cow pie from the pages of DC Thomson’s comics. I tried a macaroni pie from Clark’s in a recent review and that was scarcely my first pie in the city. 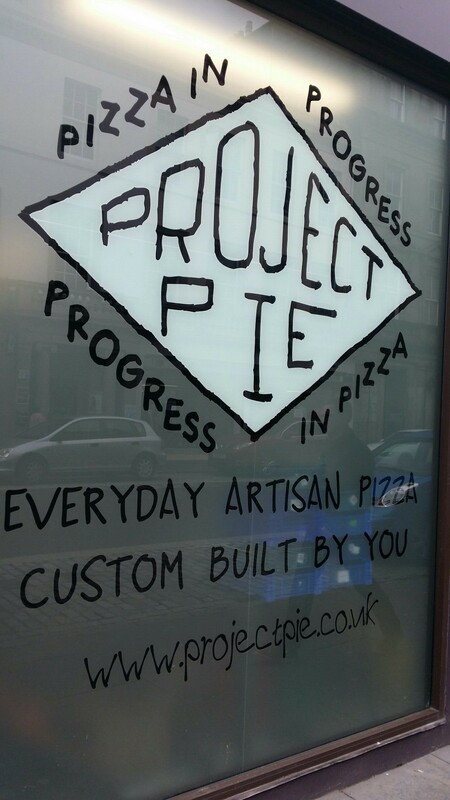 Small San Diego-based pizza operation Project Pie, presumably mindful of Dundee’s rich pie heritage, chose the city as their first outlet in Europe. Romatically, it opened on Valentine’s Day this year and seems to have been doing brisk business since then. The idea is that you get to choose exactly what you want on your pizza, then it’s assembly lined produced, rather in the style of a sandwich from Subway, by a succession of wonderfully friendly counter people. They then bake it for you, yell out your name, then it’s chow time. 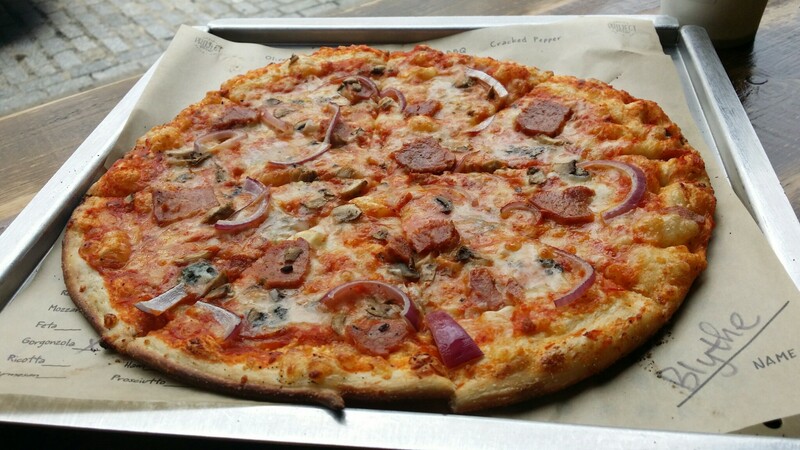 You can have as many toppings as you want for the same price, £8.50. I managed to resist the temptation to say “everything” keeping it to a fairly restrained Italian sausage, gorgonzola, red onion and mushroom. The thin-based pizza took no time at all to bake in their wood-fired oven. 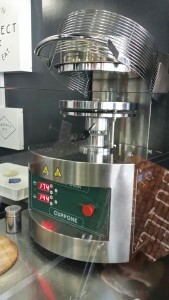 It looked very much as expected, when it arrived. I sat at a shelf seat which afforded a good people-watching opportunity. The pizza was good eating, with the topping very tasty. The base, while thin and crisp, had a little too much of that course grainy stuff (semolina, maybe?) that Domino’s are so fond of using, giving it a slightly lifeless texture. The interior is rather like a burger bar – all pipes, benches and post-industrial metal – which isn’t particularly my style, but the place had a good buzz to it. 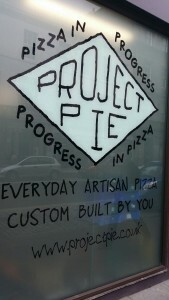 So overall, I rather liked Project Pie. Service was a big strength, and though I had a couple of slight niggles with the place I’d definitely be happy to visit again, when next I’m in town.